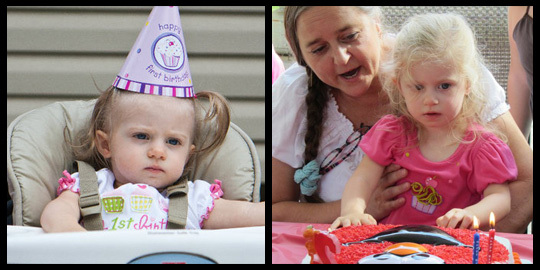 This weekend was my little niece, Lylah’s, 2nd birthday party. She has a mild (to extreme) fascination with Elmo, so my sister planned her 2nd birthday party around that. It was fantastic! No birthday party for a member of my family would be complete without… take a guess… Yep! CUPCAKES! 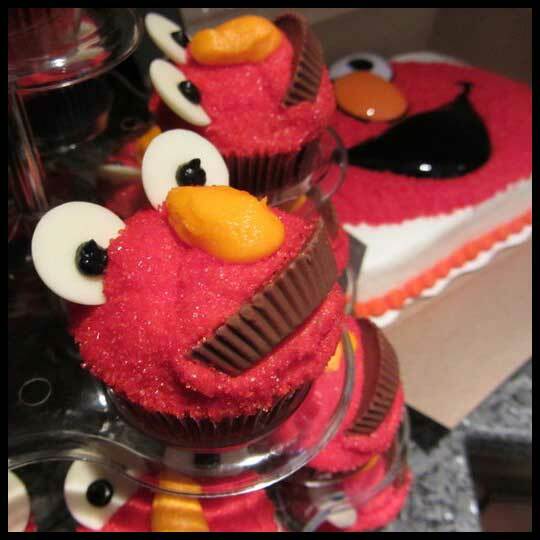 And I have to say, these Elmo cupcakes were adorable! There was even an Elmo cake to go along with them. A girl from my sister’s church made these cupcakes. I will definitely need to keep her in mind for future events. As you can see, last year she was a bit skeptical about the whole thing. This year, when I told her she would be getting “Happy Cake” she was actually excited about it. 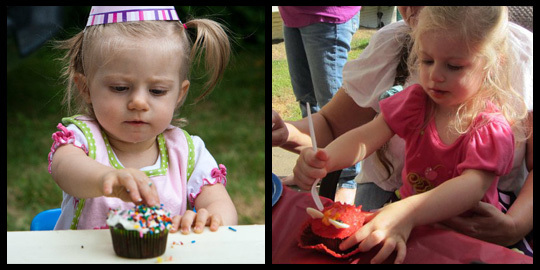 Also, please pay special attention to the fact that both years she has worn clothing with cupcakes on them. Clearly we are related. While I’m not convinced that eating a cupcake with a fork is appropriate, it’s nice to see that she has developed better eating skills over the past 12 months. I hope that cupcakes remain a part of her yearly birthdays and maybe even will be present at my other 2 nieces birthdays. Since Lylah was born on the same day as my brother-in-law, I will be making cupcakes for his birthday and posting about those later this week. Hopefully this baking experience will go WAY better than my last one (the disastrous Pink Lemonade Cupcakes, see below)… Finger crossed. I’ll keep you posted. Also, I think I’m almost finished creating the new logo for this blog. I’m making some final tweaks and then I’ll need to update the colors, etc. to this layout and I’ll be ready to post and share with everyone. This entry was posted in Cupcakes, Maryland and tagged Baking, Chocolate, Cupcake, elmo, vanilla by Stacy. Bookmark the permalink.